The Belgian Red Devils have crushed Tunisia 5-2, in an action-packed game in Moscow, dashing it's hopes of bringing the World Cup trophy home. 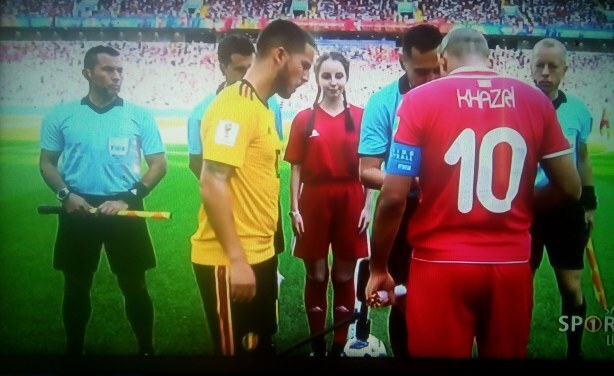 Belgium and Tunisia team captains toss the coin before their match at World Cup 2018. 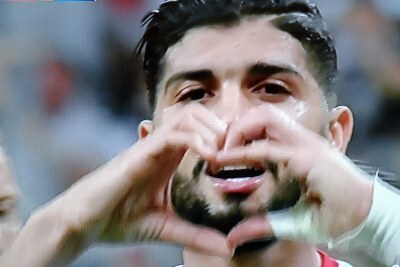 Tunisia Comes Through With Africa's 1st World Cup Goal! Africa: Tunisia Scores Africa's First Goal of the World Cup! Will Any Of Our Teams Finally Break Africa's World Cup Spell? Africa: Gosh, Hope That Middle Finger Wasn't for Putin? !